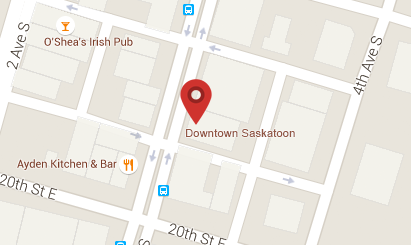 Are you a Downtown Saskatoon business/stakeholder!? This plan will affect you… have your voice heard; Attend these workshops! The City of Saskatoon has been working collaboratively with the community to plan for the best Transit System. This will include Bus Rapid Transit (BRT) routes intersecting our Downtown Saskatoon. The benefits of bringing potential customers and employees to our district are invaluable, and getting it right is of great importance. 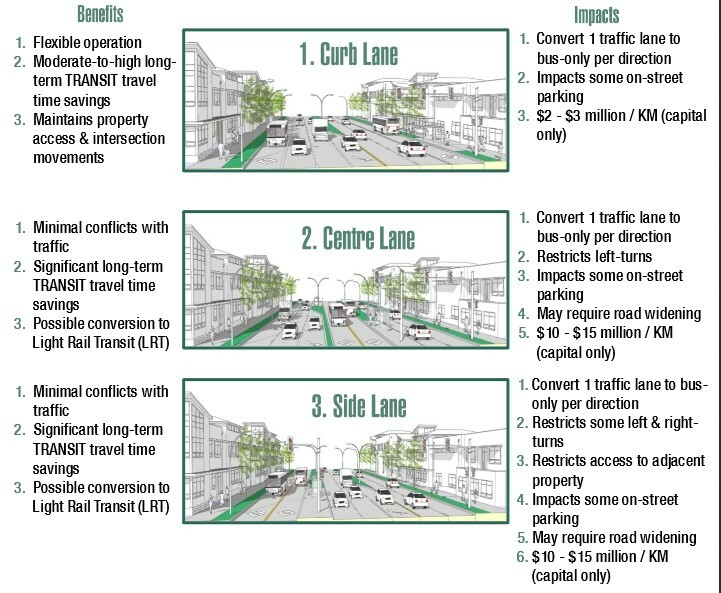 Although not confirmed nor finalized, current plans point to downtown routing along 3rd Ave, 22nd St E, and 25th St E.
While we have yet to receive actual schematics, 3rd Ave could be reconfigured to curb, centre, or side lane bus routes (see image below for conceptual drawings, benefits and impacts). As a Downtown Saskatoon business/stakeholder, your opinion matters. PLEASE REGISTER by February 5 TO ATTEND.